The reality of Paradise is something which people will never be able to understand until they actually enter it, but God has shown us glimpses of it in the Quran. Allah has described it as a place essentially different to the life of this world, both in the very nature and purpose of life, as well as the types of delights which people will enjoy therein. The Quran shows that Paradise is a place where all blessings have been created perfectly and where people will be offered everything their hearts and souls desire, and everyone will be far removed from want, need, anxiety or sadness. Every kind of beauty and blessing exists in Paradise and will be revealed with a perfection never seen or known before. God has prepared such blessings there as a gift, and these will be offered only to people with whom He is pleased. 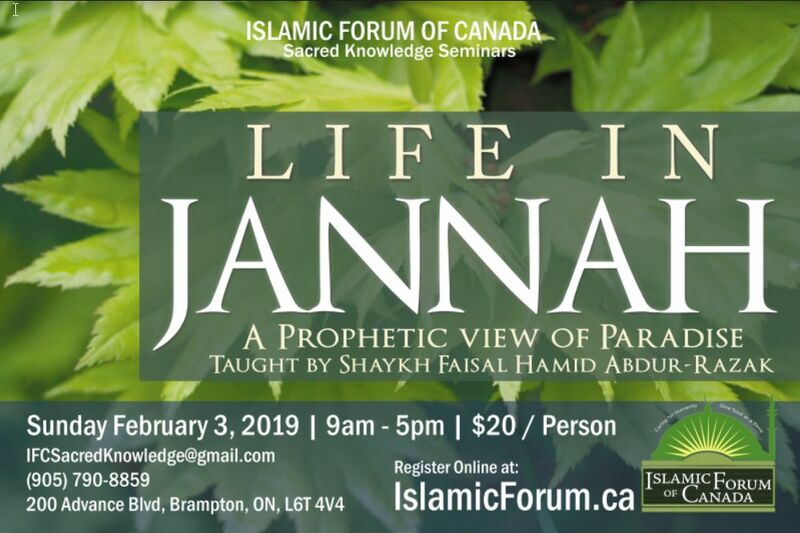 Join Shaykh Faisal Hamid Abdur-Razak who will describe what the believer will experience in Jannah.